We are pleased to announce that we are launching ‘Nepal Clouded Leopard Project’ (NCLP) as one of the wings of Friends of Nature (FON) Nepal. The project is currently focused in Sikles-Bhujung area in central Nepal, but we are determined to expand the scope of our research and conservation work on this species across its range in the country. The inception of the project dates back to 2008 when Yadav Ghimirey was granted a Critical Ecosystem Partnership Fund (CEPF) small grant for studying small carnivores in Makalu-Barun National Park. The project, though unsuccessful in confirming the species’ presence in Makalu-Barun, was important in garnering other evidences of the species in the area. In 2011 we shifted our focus to Sikles-Bhujung forests in lower Annapurna Conservation Area in north-central Nepal. The species was found to reside in the area confirmed by camera trap photo. We have focused our attention to the area since then. We have conducted a bigger study in 2017 which helped to identify more locations of the species in Sikles-Bhujung area. During all these years of the project, we have been able to confirm the presence of clouded leopard in Annapurna Conservation Area and in Chitwan district. Other important results that this project helped bring was the rediscovery of Asiatic golden cat and spotted linsang in Nepal. A paper on all the clouded leopard records in the country, which included 4-5 years of continuous digging of the species' information in the country, has also been published by Oryx, an international journal of conservation. 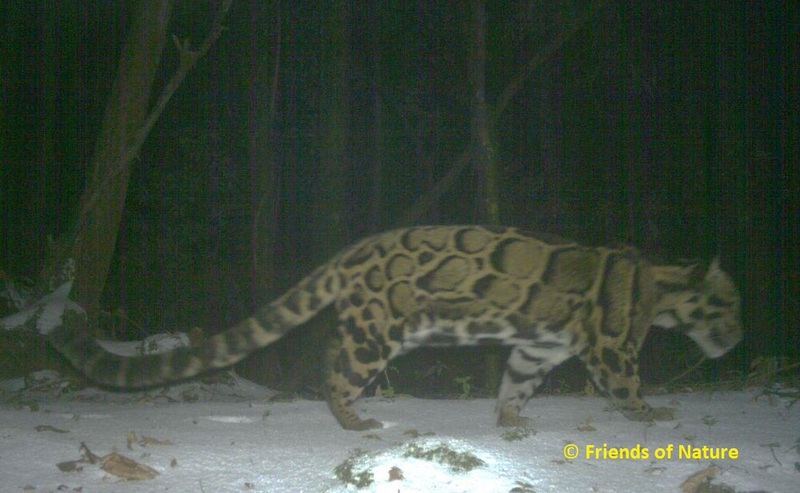 We have also been asked by IUCN’s representative to assess the status of clouded leopard for Nepal. We know that public support is crucial for the success of any project and NCLP is not an exception. Our success depends on active involvement of conservation stakeholders including local communities. Local community banning poaching and wildlife trade in their area will be a huge boost for conservation of clouded leopard. Similarly, people from every sector can contribute in their own way. For eg. if you are a visual artist, you can help us design conservation posters and booklets, maybe even conservation videos for different target groups. We have found audio visuals to be very effective medium to grab public attention. We would really appreciate your help in this regard. You can also help us fill the gaps in our knowledge of clouded leopard by providing any information on the species within. Sighting coordinates or the general location with brief description and photographs are even better. • publicizing our efforts through various medias both social and traditional (electronic and print). • helping us develop materials that help in raising conservation awareness of general people (audio-visuals, posters, conservation games). We would like to thank all our supporters and well-wishers for your best wishes and encouragement, and hope to get your continued support in the future. Till now we have been able to garner financial support from Point Defiance zoo and aquarium, Critical Ecosystem Partnership Fund grants in eastern Himalayas, Rufford Foundation, Bernd-Thies Stiftung. We have also been supported individually by various big hearted individuals via www.experiment.com for which we remain grateful. 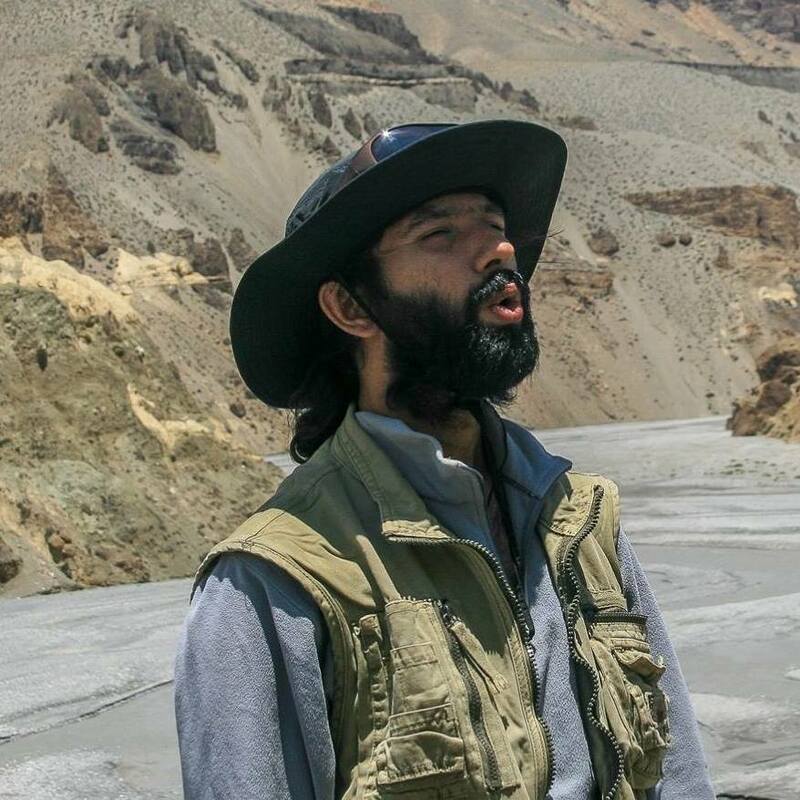 Yadav Ghimirey has been involved in research and conservation of small and intermediate felids species in Nepal since 2008 with particular focus on Clouded Leopard. He is interested in the interspecific interaction among felid species particularly between clouded leopard and its big brother common leopard and prey-predator dynamics in the mid-hills of Nepal. He has M.Sc in Environmental management with a PG Diploma in International Wildlife Conservation practice.